OK, I'll admit it, I'm a tree-hugger. I especially like tropical plants, like palm trees. 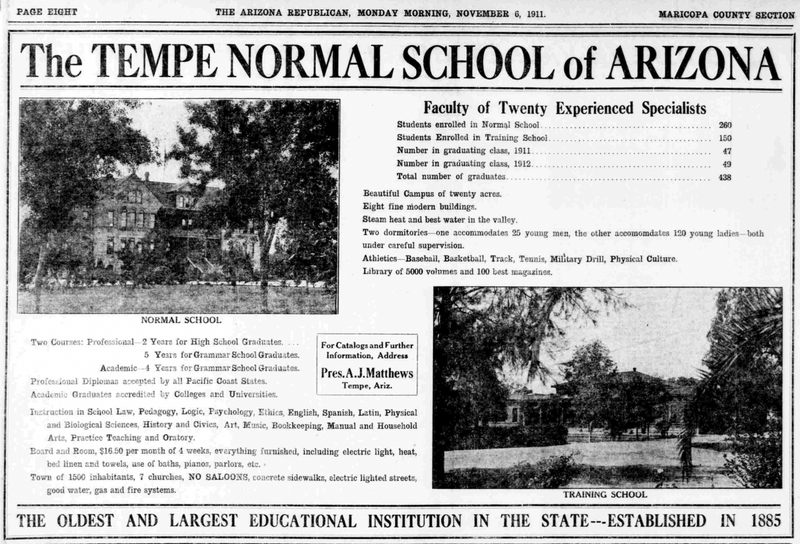 And one of the biggest, best, and oldest, arboretums in Arizona is the campus of ASU - Arizona State University. And if you're wondering where the arboretum is - it's the campus. Yes, the campus itself. 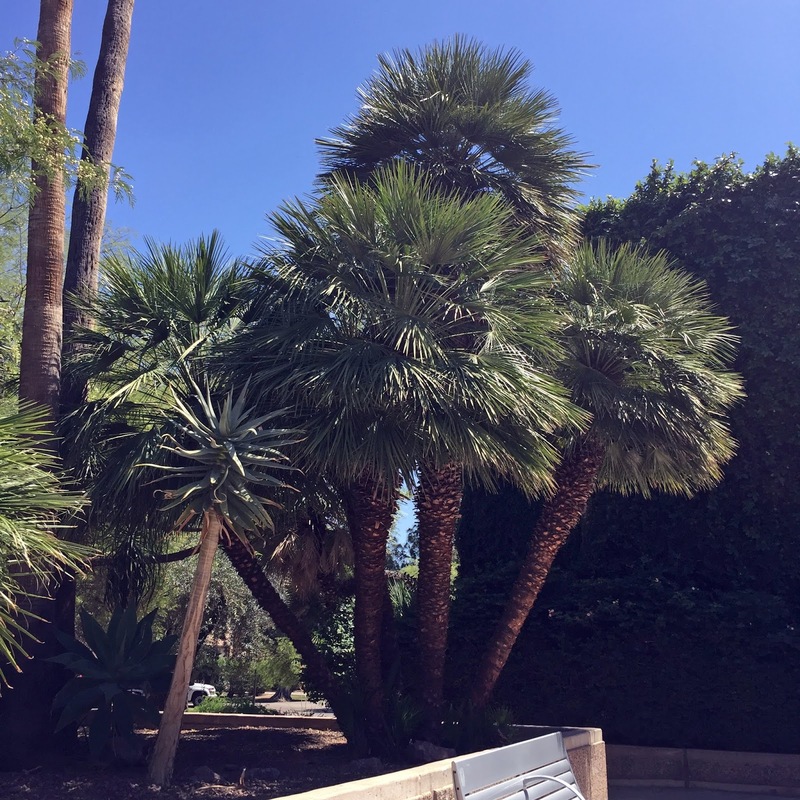 Starting in 1885, there are have been many interesting and exotic trees planted there. Finding gardens in the Phoenix area that have been continuously taken care of for over 100 years isn't easy. But viewing the arboretum at ASU is as easy as finding a visitor's parking spot (OK, maybe that's not so easy) and just wandering around the campus. Many of the more unusual specimens have little signs attached to them, but most are just old trees, like the Mediterranean palms in the photo at the top of this post, which are nearby the art building, south of University at Forest. So go there, already. Park legally somewhere (Tempe is very strict about parking!) and just go wander around the campus. Yes, there are hazards, like people skateboarding by without looking where they're going while texting, but you can avoid them just by getting out of the way. And besides, you're over there looking at trees, you shouldn't be in their way. 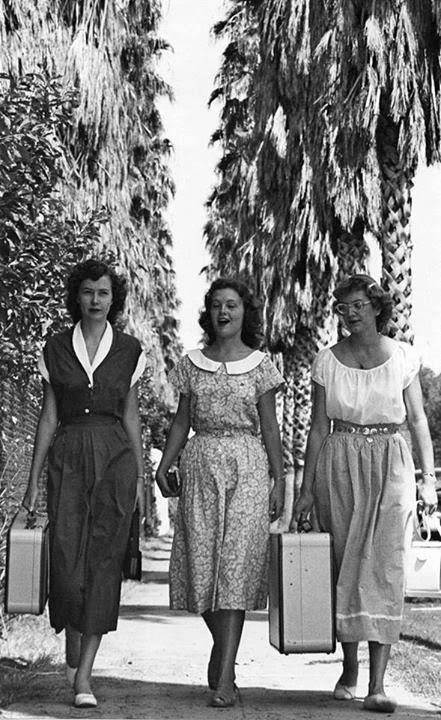 By the way, don't be self-conscious on campus. If you're over thirty, everyone who sees you will just think you're a teacher. And they really won't see you, anyway. 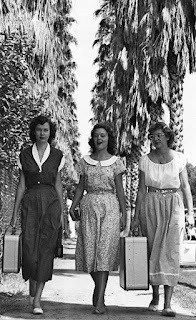 Coeds on Palm Walk in 1949, Arizona State College, Tempe, Arizona.